By Richard Solly, member of Colombia Solidarity Campaign and Co-ordinator of London Mining Network. For nearly fourteen years, I have been working in support of communities affected by the Cerrejon coal mine, a vast opencast mine in the province of La Guajira, Colombia. I have just returned from a visit to the area, my first in ten years – and it was a massive, eye-opening shock. The mine is operated by Cerrejon Coal Ltd (Carbones del Cerrejon in Spanish), owned by three enormous London-listed mining companies: Anglo American, BHP Billiton and Glencore Xstrata. Its construction and expansion have forced numerous small farming communities, many of indigenous Wayuu people or people of African descent, to move. You’d have thought that between a profitable local coal company and three of the wealthiest mining multinationals in the world, they might have found the money to make sure that these communities were treated justly. But you’d be wrong. When I first visited, in September 2000, I met with the beleaguered residents of the village of Old Oreganal. They were being forced to move as the mine expanded towards them, and they showed me the new village the mining company had built for them to live in: a semi-urban housing development close to the edge of the town of Barrancas, with no land for them to carry on their agricultural livelihoods. They wanted something better than this; but they were forced to accept it for lack of an alternative. Over the past few years, Cerrejon Coal and its London-listed owners have continually reassured us that they have learnt from past mistakes and that the relocations of three more communities – Roche, Chancleta and Patilla – were being conducted in a wholly new way, respecting the needs and choices of the people. Community members who have visited us in London have expressed great misgivings – but until I visited the new communities earlier this month, I had not fully understood the truth: these communities, formerly widely scattered in the countryside now being swallowed up by the mine, and surrounded by common land used for grazing, are now ALL semi-urban communities on the edge of Barrancas, a stone’s throw from one another and from the resettled community of Oreganal. Residents of the new settlement of Roche took members of our delegation to see the farmland at the edge of the village. The provision of some farmland is certainly a step forward. But they told us that each family has been provided with one hectare of land. One of the leaders from another community told us that the Colombian Government’s ‘Unidad Familial Agricola’, the officially recognised minimum quantity of land needed to support an average farming family, is 72 to 98 hectares in this part of the province of La Guajira. In any case, ‘agriculture’ implies something more to these rural people than just the cultivation of fields: it includes what they hunt, what they fish, what they gather, and where their cattle graze. It includes their sense of place and their sense of community. That’s why they need more than some bare minimum of land for planting crops. Cerrejon Coal told us that most families in the old communities derived most of their financial income from sources other than agriculture. That could be true: people lived from their own crops and livestock, and bartered some of the surplus, as well as selling some surplus in local market towns. Money was not as important to their traditional rural livelihoods as it is to people living in towns. But even if it is true that many people derived relatively little monetary income from agriculture, they derived their sustenance from agriculture. Cerrejon Coal told us that most people in the old communities no longer wish to live by farming. The people we spoke to told us the exact opposite – as they have done so continually since I first visited the area. Cerrejon Coal’s answer to the problem is to provide start-up money and advice to enable people to start new ‘productive projects’ so they can make a living in a different way. But, as the company itself admits, the great majority of these projects have failed – 96% of them in one community. People told us that when community members say they want help to start some new farming project, their views are ignored and they are encouraged to become taxi-drivers or motor-cycle repairers instead, or to open a mobile phone shop. There is a limit to the number of such enterprises a small community can support. The company told us they will look into why so many productive projects are failing and may appoint new advisers, but that it is difficult turning farmers into entrepreneurs. Indeed – and why bother, when people want to carry on farming, and have made this abundantly clear time after time? These fears are shared by 45 families in the old communities of Chancleta and Patilla who have so far refused to move, despite the constant difficulties caused by living so close to the mine. They told us that the company only recognises nine of the families as being eligible for resettlement – the other 36 would be offered nothing. 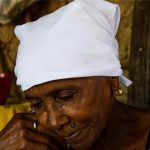 They also told us that Chancleta is officially recognised as a community of African descent, meaning they have collective title to their land and a legal right to ‘prior consultation’ before any projects are allowed to affect their land – but that the company is ignoring their legal status and trying to pressure them to move, family by family. 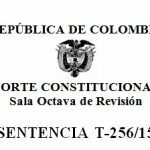 Communities of indigenous Wayuu people also have a legally recognised right to ‘prior consultation’ under the Colombian constitution, but Wayuu people that we met with told us that the process is manipulated by the company and the government. 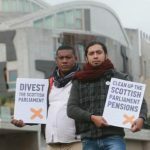 In response, some indigenous communities have pulled out of official consultation procedures and have begun to conduct their own ‘autonomous consultation’ processes, which they will control themselves in accordance with their own traditions and their own timetable. The most outstanding example of a broken agreement is the relocation of the village of Tabaco, brutally evicted in August 2001 (shortly after the current owners first bought into the mine and while it was still operated by Exxon subsidiary Intercor). Under an agreement signed in December 2008, the village was to be reconstructed in a new location chosen by community members. This agreement has still not been implemented. The company blames the local municipality, which blames a lack of funds. The company’s multinational owners could easily fund the relocation – but they choose not to do so. One of the recently relocated communities, Tamaquitos, has managed to obtain a better deal than the other communities. 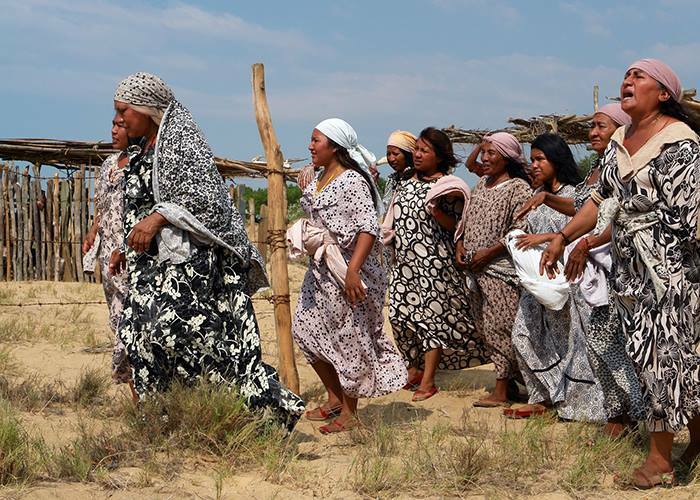 Tamaquitos is a Wayuu community, and it seems that indigenous decision-making processes may have helped the community to maintain unity in the face of pressure from Cerrejon Coal. Each part of the relocation deal was discussed and decided on by the whole community. Together, they held out for 300 hectares of rural land, including woodland and pastureland. They insisted on appointing their own architect, who designed houses which reflected the community’s preference for separate sleeping, cooking and bathroom buildings. At the centre of the new settlement are communal meeting rooms, traditional sports grounds and ceremonial areas. The community successfully insisted that the company should pay for traditional ceremonies to honour the spirits of the old village and the new site. Unity is crucial in the struggle for justice. In recent years, communities which have been relocated or are facing relocation have sought and found greater unity among themselves and with indigenous organisations and the mine workers’ union SINTRACARBON, which is fighting its own battles with the company for recognition of the rights of subcontracted workers and of the legal status of miners’ work as hazardous, which would give workers increased pension provision. All these organisations have worked together to oppose the company’s plan to divert 26 kilometres of this drought-stricken region’s one major river, the Rio Rancheria – and this unity has so far held the diversion project at bay. SINTRACARBON’s support for community struggles has greatly strengthened the communities’ position, and the communities have responded by demonstrating in support of the workers in their disputes over health, working conditions and union rights. Many times, people told us that international solidarity has been crucial to their struggle. It encourages people to keep going when they are under pressure to give up. Our support for the people affected by the mine has to continue. When even mine workers are opposed to the constant expansion of the mine, it is clear that there is a problem. Most of those affected by the mine are calling not for an end to mining but for just treatment for those affected by it. But there is an increasing sense that the climate change which the burning of coal helps accelerate is hitting the area hard – people see the current drought as a result partly of the presence of the mine. The mine workers that we met, officials from the mine’s health and safety and environmental departments, were very proud of their work, proud of the ways in which they were trying to improve the mine’s safety record and regenerate the land once an area has been mined out and the pit refilled. They saw their work as being of benefit to humanity because of providing energy. They deserve recognition for their efforts. Mine management, meanwhile, accused us of always saying negative things about the mine and never giving them credit for the efforts they are making to improve their record. I visited La Guajira as part of a delegation organised by US organisation Witness for Peace and led by US academics Avi Chomsky and Steve Striffler, with whom Colombia Solidarity Campaign has been working for many years to support communities displaced by the Cerrejon mine. My participation in the delegation was funded by Colombia Solidarity Campaign and fellow member of London Mining Network WDM. Many thanks to both organisations. You can read other articles about Cerrejon Coal and its multinational owners athttp://londonminingnetwork.org/?s=Cerrejon.